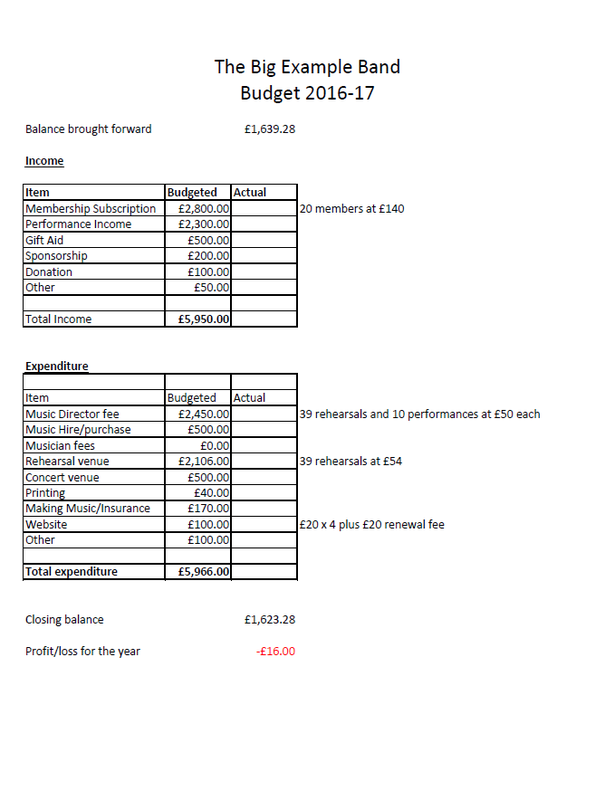 We have put together an accounts template to help you manage your finances. The accounts are designed to be simple but clear and are appropriate for groups using receipt and payment accounts. If you are using Accrual accounts income you may need to think about more complex and detailed accounting records. This template is intended as a starting point and example of how you can manage your accounts. You are welcome to make changes to suit your needs. The accounts are in an Excel spread sheet format and contain formulas. The formulas are simple (they add, subtract or take a value in one tab to another tab) and have been created so if extra rows and columns are added the formula’s will adjust accordingly. However, we cannot guarantee that any changes you make will not affect the formulas and we do not recommend using this template unless you have at least a basic knowledge of Excel. If you are unsure about the suitability of the document please seek advice from someone with knowledge and experience in Excel. Making Music accepts no responsibility in relation to the use of the template account document. Download our template accounts template, read our Top Tips for Treasurers or view our nfp bank account comparison table. Planning a choral fundraising concert?